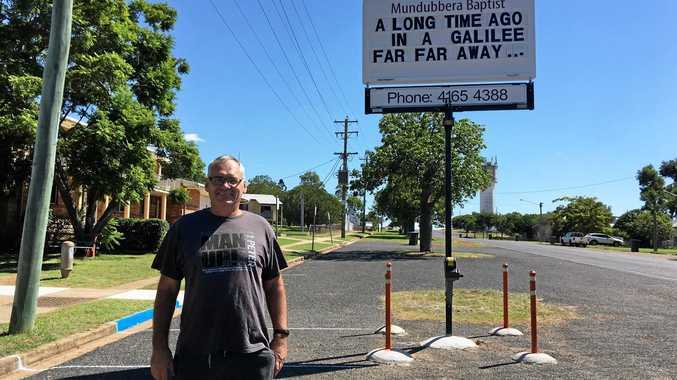 AFTER six years in the town, Baptist Church minister Paul Dare is saying goodbye to Mundubbera. Mr Dare was stationed in Mundubbera in early 2011. He witnessed the aftermath of the floods and saw what a community could do during the toughest of times. "We had people stay in the church at the time, and cooked meals, did security and helped out wherever possible, the community really banded together," Mr Dare said. "At the time there was a lot of backpackers, so some stayed and some left." Mr Dare will leave Mundubbera to take up a position with the Baptist Church in Tasmania. Apart from leading the church he has become an engaged community member, getting involved with the Men's Shed among other causes. The journey had been a positive one, he said. "There have been some really sad times but with no regrets," Mr Dare said. "I've learnt so much about health, council and all the different aspects of life." Passionate about the North Burnett and interested in local politics, Mr Dare had some words of caution. "Some people are wanting a mine here, I think it'd be terrible, it could destroy the town," Mr Dare said. "What I would love to see if we get a mine is a fly-in, fly-out and with a tax paid to the community."